Sung-Hee Lee’s research interests include motion generation of avatars, virtual characters, and humanoid robots and modeling/simulation of human characters, specifically for VR/AR, telepresence, computer game, and computer animation. He received the Ph.D. degree in Computer Science from University of California, Los Angeles, USA, in 2008, and the B.S. and the M.S. degree in Mechanical Engineering from Seoul National University, Korea, in 1996 and 2000, respectively. He is currently an Associate Professor with the Graduate School of Culture Technology at KAIST. Prior to joining KAIST in 2013, he was an Assistant Professor at Gwangju Institute of Science and Technology (GIST) from 2010 to 2013, and a Postdoctoral researcher at UCLA from 2008 to 2009, and at Honda Research Institute, CA, from 2009 to 2010. He also has held positions at Rhythm & Hues Studios, CA, USA (Software Intern, 2008), Microsoft Research, WA, USA (Research Intern, 2007), Honda Research Institute, CA, USA (Research Intern, 2006), Korea Institute of Science and Technology (Visiting Scholar, 2003), and Samsung Advanced Institute of Science and Technology (Researcher, 2000-2002). 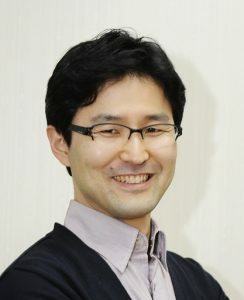 He was awarded Outstanding Ph.D. in Computer Science and Northrop Grumman Outstanding Graduate Research Award from UCLA in 2009, Achievement Award from Korea Society of Computer Graphics in 2016, Research Innovation Award from KAIST College of Liberal Arts and Convergence Science in 2017. He is currently an Associate Editor of Computer Animation and Virtual Worlds journal, and has served as a Program Co-Chair of the 30th Conference on Computer Animation and Social Agents (CASA 2017), Organizing Co-Chair of 2018 Korea Computer Graphics Society (KCGS) Conference, and PC member of numerous conferences including SCA, Pacific Graphics, and CASA.